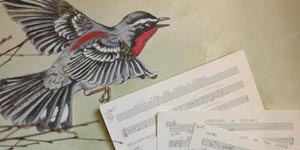 Combining a natural feel for jazz with an evocative interpretation of a lyric, Roz Corral offers a fresh approach to a song. This New York City-based singer makes her recording debut with Telling Tales, a combination of standards and lesser known entries beautifully arranged and sung, accompanied by a group of some of the finest young musicians in jazz. Corral is an excellent story teller and Telling Tales aptly describes the essence of her singing style. As the great jazz vocalist Mark Murphy puts it: "...Roz always goes to the heart of a song." In his liner notes, Chicago broadcaster/writer Neil Tesser has this to say: "She finds the heart of a song's message, as contained in the lyrics, then she finds the best way to convey that message musically, in a timbre adult, throaty, and knowing. Telling Tales may be her first album, but his is no ingenue; her command of phrasing proves that." 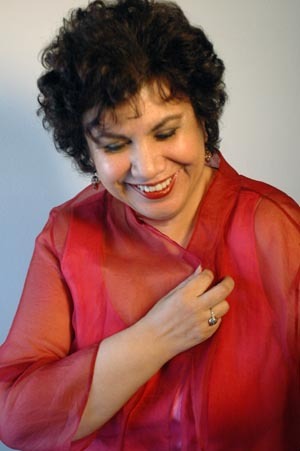 Another important aspect of Roz Corral's singing is her freedom with rhythm, which allows for the hard swing feel in the tradition of some of our great jazz vocalists. This combination of attention to lyric and musical ease is evident in her swinging opener, "Too Close For Comfort," her hard-hitting version of "I'll Never Be The Same," the Brazilian feel of Frishberg's "Wheelers and Dealers," or her poignant versions of the rarely heard "I've Got No Strings" and "Say It Isn't So." Clearly in her element, Roz Corral is known for her live performances, where her sense of joy is palpable. In celebration of her CD release, she will perform with her sextet at New York's Jazz Standard. She has performed as part of the JVC Jazz Festival's club participation at Sweet Rhythm, the 55 Bar, Flushing Town Hall and holds forth at a regular Sunday jazz brunch with notable guitar/bass backing at North Square, in the Washington Square Hotel. Her band lends invaluable support to this first project. Reedman Steve Wilson has performed as a member of two of the finest working bands in jazz, those led by Dave Holland and Chick Corea. In the latter he played with trombonist Steve Davis and versatile drummer Jeff Ballard. Ballard and the extraordinary bassist Larry Grenadier currently anchor the Brad Mehldau Trio. Both guitarist/arranger John Hart and co-producer, pianist/arranger Bruce Barth have a series of well-received recordings as leaders. Barth, who gained recognition as part of Terence Blanchard's group, is also known for his work with such notables as Nancy Wilson and Toots Thielman, as well as the highly regarded newcomers Luciana Sousa and Carla Cook. Roz Corral took a circuitous route to this juncture: she grew up in Marin County CA, but moved to New York as a young adult, where she thought of becoming a dancer. Instead, she restricted her musical activity to some open-mike Monday nights at cabarets, while working for PMK Associates, the high-profile film and music public-relations firm. 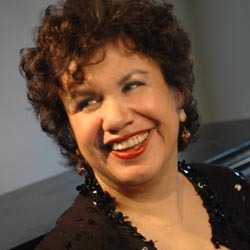 In the late 80s, she grew more serious about singing and started studies with the bebop pianist/educator Barry Harris. "I knew I couldn't do both [working for PMK and pursuing a singing career]," she says, "but it was too nice a day job to give it up. Then they made the decision for me by letting me go" - a decision that, in hindsight, has worked out just fine.